I DARE YOU TO PRESS THE RED BUTTON. 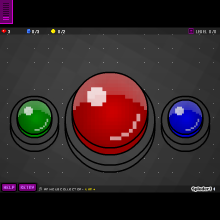 my first game is about the red button! injoy! ;)and if you like this,play my new game,paper escape!